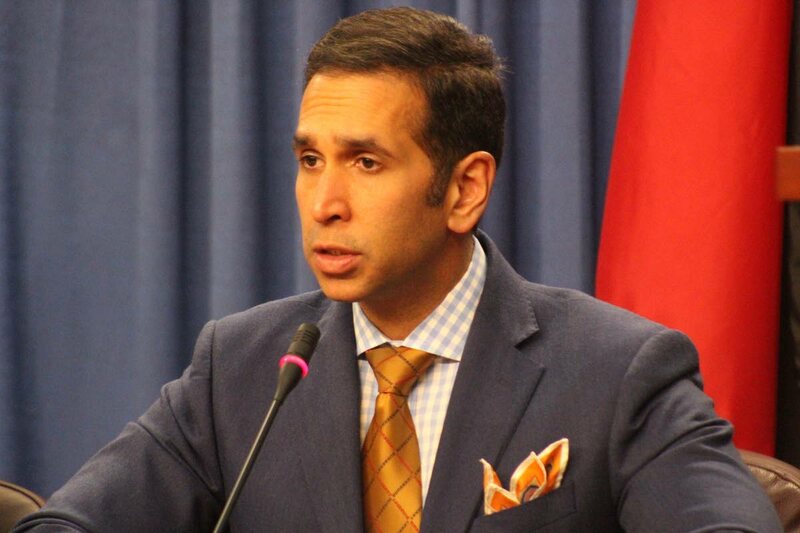 ATTORNEYS for activist Devant Maharaj have warned Attorney General Faris Al Rawi that any attempt to prosecute the former government minister for sedition will be a breach of his rights as he intends to have the courts strike down the “undemocratic” laws. Attorney Kiel Tacklalsingh wrote to the AG on Monday signalling their intention to take legal action. In the letter, Tacklalsingh advised that there was no jurisdictional basis for any Governmental action, in the interest of national security, since there was no information which would suggest Maharaj’s actions would endanger the nation’s security so much as to restrain his free speech. He has been unapologetic and has said he published the trio of ministers' numbers to try to bridge a divide he perceived to exist between population and government. He has also threatened to reveal Rowley’s new number, but the Prime Minister, this morning, said it was a lie since he has no new number. In the letter, Tacklalsingh said Maharaj, sensing a “disconnect and alienation” between the citizenry and the policies of the current administration, published a statement which included the prime minister’s phone number. “The clear intention of this publication was not to invite citizens to harass, threaten or cause harm to the Prime Minister but rather to encourage the public to demand answers from the office holder that is ultimately accountable to the population," Tacklalsingh wrote the AG. Tacklalsingh warned that if government or any of its agencies seek to restrain Maharaj, they will go to the court without notification to seek relief. Reply to "Devant’s lawyers write AG on sedition laws"